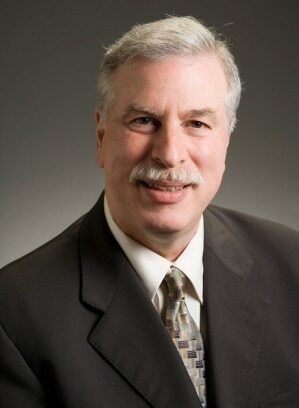 Southborough – Southborough resident Lee S. Perrin, M.D., has been recognized by his physician peers as the 2012 Community Clinician of the Year for the Middlesex District Medical Society. The Community Clinician of the Year Award was established in 1998 by the Massachusetts Medical Society to recognize a physician from each of the society&apos;s 20 district medical societies who has made significant contributions to his or her patients and the community and who stands out as a leading advocate and caregiver. The Middlesex District is composed of about 2,150 physicians who live and work in 22 communities in Middlesex County. He will receive the award Saturday, April 14, at the district society&apos;s annual meeting at the Museum of Science in Boston. Board-certified in anesthesiology and a diplomat of the American Board of Anesthesiology, Perrin is an attending anesthesiologist at Steward St. Elizabeth&apos;s Medical Center and Steward Carney Hospital in Boston, specializing in obstetric anesthesia. Perrin has been a longtime active member of state, national and specialty medical societies. He served consecutive three-year terms as vice speaker and speaker of the house for the Massachusetts Medical Society from 2003 to 2009 and was president of the Middlesex District Medical Society from 1999 to 2001. He is a past-president of the Massachusetts Society of Anesthesiologists and current member of its Executive Committee. He is currently a delegate to the American Society of Anesthesiologist&apos;s House of Delegates, an alternate delegate to the American Medical Association&apos;s House of Delegates, and a member of the Massachusetts Medical Society&apos;s House of Delegates. A graduate of the Massachusetts Institute of Technology with a bachelor&apos;s degree in life sciences, Perrin earned his medical degree from the Mt. Sinai School of Medicine in 1977. He is an associate clinical professor of anesthesiology at Tufts University School of Medicine, teaching residents and medical students in the areas of sedation and analgesia service, quality improvement, and the implementation of computerized anesthesia records into medical practice. For more information, visit www.massmed.org, www.nejm.org, or www.jwatch.org.